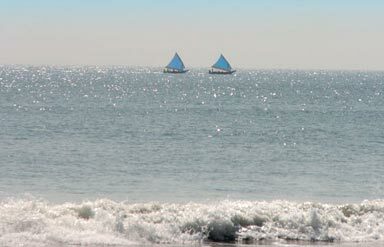 Odisha Tourism is known for its clean and silvery beaches. Long stretches of shimmering sand, pristine blue water and the cool breeze together add charm to beaches in Odisha. Bestowed with nearly 500km long coastline stretching along the coast of Bay of Bengal, Odisha beaches offer a mesmerising holiday spirit. 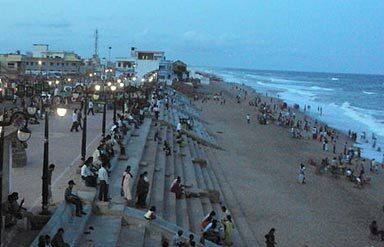 White sands, roar of rolling waves and countless devotees taking holy dip—Puri Beach is definitely delightful. Located in the main city, it serves as a sacred venue for numerous pilgrims visiting Jagannath Temple. The famous Konark Sun Temple stands nearly 35km away from the beach. Every year Beach festival is organised during November attracting tourists from all around the world. The destination is also famous for stunning sand sculptures done particularly by the celebrated sand artist Sudarsan Pattnaik. His sand artworks are mostly inspired from the mythological stories and bear an ethnic charm. You can enjoy a stroll along the beach or savour sumptuous sea food served in local stalls. Halt at Chandrabhaga Beach while visiting the Konark Sun Temple, located 2km away. The lively ambiance and scenic vistas make this beach perfect for relaxing, swimming, boating and picnics. It is usually a quiet retreat popular among the tourists. However, the scene is quite different during the Chandrabhaga Fair, held annually during January-February to worship Sun God. Colourful decorative items, toys, dresses and food stalls add charm to the fair. Known as one of the most famous beaches of Odisha, it is located at the mouth of Nuanai River. It beholds a stunning view of calm waves rolling into the Bay of Bengal. The swaying casuarina trees add up to the beauty of the dreamscape. The beach looks magical during full moon nights when the sand glitters and moon’s reflection can be seen on the waves. During December, Olive Ridley Turtles visit the beach to lay eggs. Many colourful migratory birds are also seen during the winter. Tourists can enjoy thrilling boat rides, sunbath or play with the waves. Water-skiing and parasailing are also available at the beach. This is a serene and magnetic beach located nearly 30km from Brahmapur. The stimulating weather at the beach will refresh your body, soul and mind. Far from the hustle and bustle of the city life, this tourist spot is ideal for honeymoon couples. Apart from the visual treat, sunbathing is the next best thing to do at the beach. Adventurers can engage in water-sports as well as an ebullient dive into the sea. Witness the picturesque site of local fishermen busy in their daily chores. So, stop planning your holidays and make them happen. 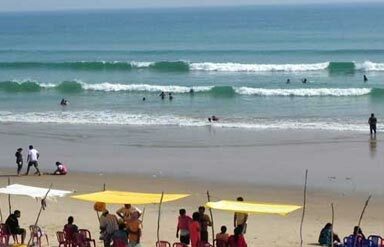 Book for Odisha Beach Packages and pamper yourself.